Twitter has become an important part of social networking. In support of this, we have integrated Twitter support into our applications. 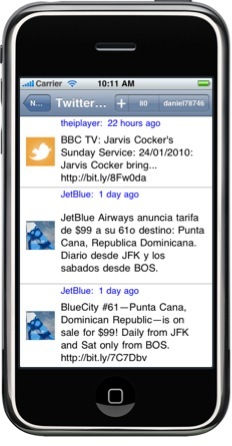 This enables twitter messages to be sent and read from multiple devices within the social ecosystem. Such as a phone can be used to Twitter and immediately read by a networked TV viewer.